Throughout his entire life, Matt Reynolds has dreamed of being the head coach of a Division I baseball program. When former Massachusetts baseball coach Mike Stone announced his retirement after 30 years in 2017, it was impeccable timing. Reynolds had been dreaming of coming back to the Northeast for a few years, despite having great success as the head coach for Washington College. 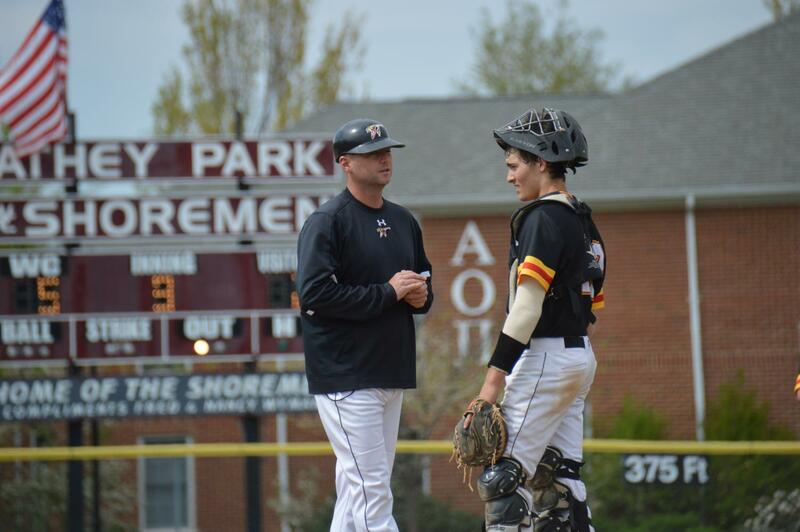 For the past three years, he helped the Shoremen to their highest win total in school history, totaling 26 wins in 2016. “I was very fortunate to get this opportunity,” Reynolds said. “Just the marriage of not only coming back to my alma mater, but coming home to my home state [and] also just getting that very first opportunity to be a Division I head coach at a place that’s so special to me. When asked about what it’s like to be back at UMass, Reynolds said he’s excited. He recognizes that it is a very exciting time to be at UMass, especially considering the academic profile of the school. This is something he has emphasized when talking to new recruits from the start. After graduating from UMass in 2005 with a bachelor’s degree in communications, Reynolds joined Stone’s staff as a graduate assistant coach. He received a master’s degree in education technology in 2010, also from UMass. Reynolds said that he is very honored and humbled to be the person who fills the shoes of Stone, but coaching with the 30-year veteran is part of what propelled him to want to take the job so badly. “I would say certainly a lot,” Reynolds said of what he learned from Stone. “He was a great coach. I think the biggest thing I took away from him was just how he carried himself. Reynolds’ first official day as the UMass baseball coach was June 12, 2017. Eight months and 10 days later, he says the feeling still hasn’t sunk in for him, partly because he’s been busy trying to implement his coaching style and ideals, but also because it’s such a surreal experience for him. At the same time, however, when he does have down time, he does think about what this means. Prior to Reynolds’ tenure at Washington College, he spent seven seasons as the assistant baseball coach at U.S. Naval Academy where he focused on the offensive side of the game, as well as infield and outfield defense. But perhaps what he took from the experience is what is most important. Reynolds says that what he learned about the most during his time in the Navy was how people carried themselves and how they went about their business. “I met a lot of great people — really special people who are doing unthinkable things for our freedom right now,” Reynolds said. “The discipline that the enlisted personnel, the officers and the midshipmen…watching the discipline that it takes them to get through their week was really special. As for his coaching style, Reynolds went back to reference Stone in comparison. Throughout his conversations with players, Reynolds has said one of the easiest transitions he has made is with the freshmen that Stone recruited, along with assistant coach and recruiting coordinator Nate Cole. “I’d say the biggest piece of that puzzle was that we were able to keep on Nate Cole, the pitching coach, and he was the recruiting coordinator,” Reynolds said. “He had as much a hand in recruiting the current freshman class as anyone, including Coach Stone. So I think that that helped a lot. Once I was able to meet [Cole] and talk to him a couple times…it was very clear that he was the guy for the job and we didn’t even consider anyone else. As a coach, Reynolds is making it his goal to bring a high level of energy to both games and practices. “I can be emotional at times, I know Matt Reynolds the player played better when his hair was on fire. That’s probably why I’m bald,” Reynolds said with a laugh. When asked about his coaching style, Reynolds perhaps put it best.